Looking for a charming night of great food and great wine? Grab a date or just head out with friends to one of these cozy Rhode Island wine bars with a broad selection of both delicious wines and fresh food. Here are our 10 favorites. Located on Dorrance Street in the midst of several other good bars, Fortnight has made a bold entrance onto the Providence scene, and locals are responding with enthusiasm. Within Fortnight’s casual environment, you might find yourself bumping elbows with a Johnson and Wales professor, hipster artists, and young and old locals grabbing post-work drinks. The business is cooperative, with all employees taking ownership of the bar, which shows through in the exceptional service. Located in Federal Hill, the dinner and drinks at Vino Veritas are so tasty you’ll want to come back the next day for brunch, too! Polite and friendly wait staff will recommend fresh options to pair with your wine, all of which is sure to impress! With fresh food and a great selection of beers and wines, Sonoma is a great choice for a weekend night out. The portions are big, but not too big—so with just a few glasses of wine and an entrée, you’ll be set for the evening! The perfect spot for a date night, Tavolo will be sure to impress. The bar offers an energetic environment, but restaurant-goers will love the tables tucked away in the corner, too. There’s plenty of parking, so on cold nights you won’t have to worry about walking back in the snow to your car! The third floor is the place to sit at this elegant seafood restaurant and wine bar. 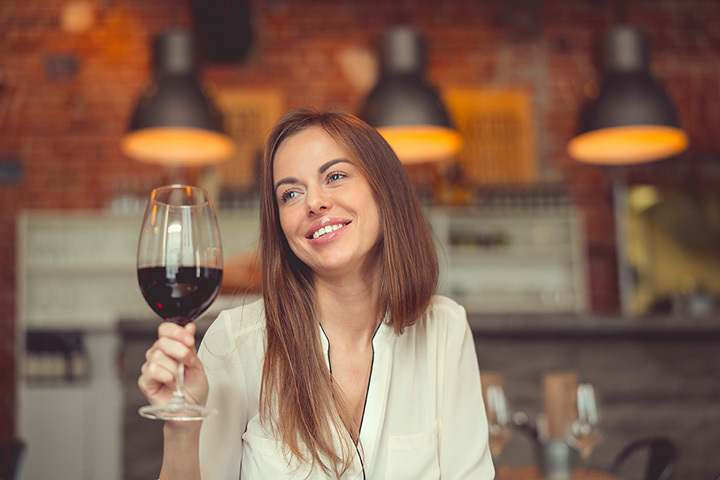 Servers will make sure to recommend great wines without overselling you. Try some of the restaurant’s farm-to-table food options as well, such as the flavorful and nutty brussel sprouts or the grilled lamb chops. Enjoy a nice glass of wine along with some Italian delicacies at this Providence restaurant and wine bar. Located down on South Water Street, this Italian food is in direct competition with Federal Hill! Sit upstairs and you’ll be sure to get great water views, and maybe even a view of the kitchen. This brand new candle-lit wine bar has quickly become a favorite among locals for its great selections and their five for $25 bottle list, every one from Spain, Italy and Portugal. Grab some tapas as well, such as the delicious meatballs and the goat cheese-stuffed peppers! Good food, good service, and good wine—what else could you need in a bar? Grab a table out on the dock where you can enjoy the sunshine and ocean breeze. Don’t forget to dress up a little bit. You’ll feel like Newport elegance sipping from their extensive wine list or sampling a cocktail or two. A relative newcomer to Providence’s restaurant scene, Milk Money is an American restaurant that boasts selections at the bar as decadent as its Sunday brunches. Come in on a weekend night and the place will be buzzing with activity. Go for a seasonal drink, such as “Is it Spring Yet?” or the coffee milk cocktail! “Rustic chic” might just be the perfect way to describe the twisted vine. Settle down in a comfy chair next to a welcoming fireplace as exposed brick walls and twinkling white lights surround you. Try the great happy hour options, and maybe go for some of the delicious selections from the food menu, too!